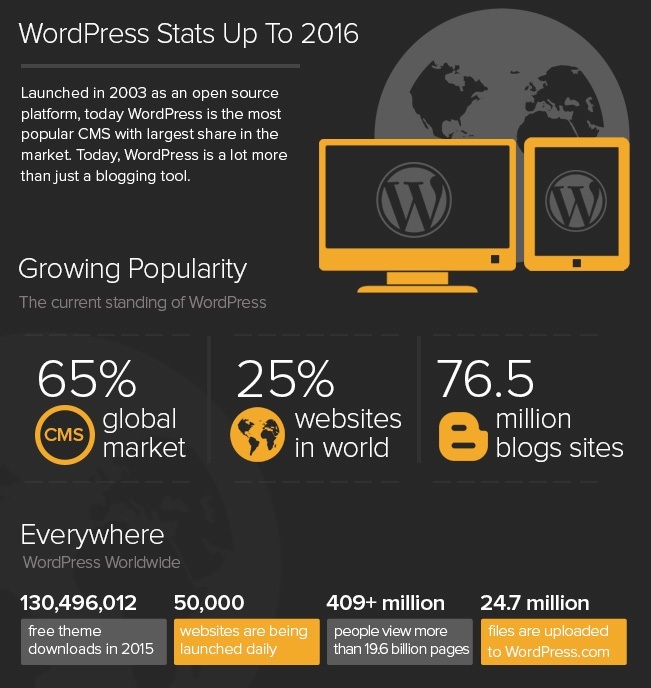 WordPress websites made up more than 25% of all the websites in the world in 2017. And there is a good reason for that statistic! In fact, there are many! 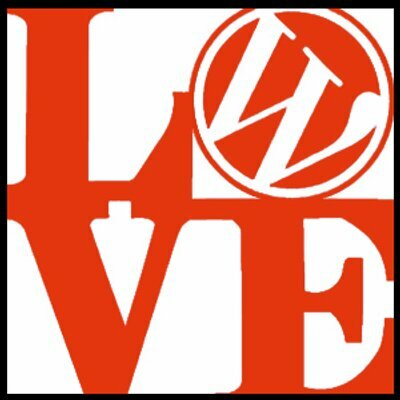 I will list off my top ten reasons I love to work with WordPress websites. For some time now, WordPress websites have ruled with the most popular content management system (CMS) or platform available. #10. WordPress is free and open source. First, open source software is free to use, edit, and redistribute. Almost all hosting companies accommodate WordPress websites and usually include one-click installation in hosting packages, As a result, WordPress websites are relatively easy to set up. Almost anyone can learn how to use WordPress and any programmer can access the source code. Originally just a blog publishing platform, today WordPress websites tremendously versatile and flexible. You can create any type of website. There are thousands of themes and plugins which enhance the design and increase functionality. Classified ads listing website like OLX. #8. WordPress is 99 % SEO-friendly, according to Google. Google, and all search engines, rank websites in search results on the basis of various predefined parameters. Therefore, the more parameters you fulfill, the better your website ranks in search results. Of course, this means your ideal readers are probably more likely to find you. The good news is that WordPress fulfills all the SEO responsibilities that a CMS is supposed to fulfill. Whats more, there are several SEO plugins available to help improve the search engine visibility of your WordPress website. Fast Loading Speed — The loading speed of a website is also influenced by your CMS. Hence, most WordPress websites are already optimized for good speed. Although, there’s plenty to optimize in the customization process. Good Coding Standards — WordPress introduces new versions every few months since its inception in 2003. Expert developers work 24/7 to make it incrementally better week by week. XML Sitemap — WordPress makes it easy to generate and submit sitemaps to search engines. Sitemaps help search engines to recognize the structure of your site content. Navigation — WordPress provides robust navigation with nav bar placements, drop-down menu functionality, tags, categories, and tons of widgets available for use. Image Optimization — It seems to take no time to add title & alt tags for images. So, it’s relatively painless to optimize images for the best ranking of your post/page. Social Media Integration — It seems that search engines pay attention to sites getting good traffic from social networking sites. Hence, the reason why WordPress supports social media integration. User Experience — And, most importantly, WordPress is fully optimized in responsive design to work well on multiple devices, browsers, and systems. #7. WordPress is easy to use. In contrast to custom coded sites, WordPress makes it very easy for the business owner to take charge of his or her own website. Watch a few tutorials on line. Soon you’ll probably feel confident updating content such as posts and photos to your website on your own. WordPress offers inbuilt facilities for blog publishing, user management, comments, RSS feeds, revisions, and much more. Once installed, you can start creating and publishing blogs and pages. Yet, if you want to make custom configurations, then you can still do it without any coding. It’s possible to customize colors, design, and even features of a WordPress theme without knowing a word of code! We use themes that provide a framework suited to your brand, industry, and goals for your website (eCommerce, membership, lead magnet, etc.) Essentially, each theme can be further customized to accommodate your design wishes. The WordPress dashboard is a simple, user-friendly interface making it possible to update and manage most of the elements of your website. Alternatively, if you are a coding expert, you can customize a theme by editing its codes. #5 A large community helps in troubleshooting. Next, WordPress has a massive community of active users and developers. Therefore, its well-maintained support forum contains millions of queries and solutions to troubleshoot problems. Further, you can search for your query to get previously answered questions. Post your questions and you’ll get valid solutions. WordPress has a high-security standard. However, since 23% of the websites on the internet are built on it, hackers continuously try to find loopholes in WordPress to get into the sites built on it. But not to worry. WordPress provides regular updates for strong protection. Update your WordPress version regularly to fight this vulnerability. In fact, website hacking mostly takes place due to lack of knowledge and awareness in users. We always urge clients to follow general security methods for WordPress with updates and plug-ins. First, use a premium theme. Free themes may contain malicious codes and encrypted links. Download plugins from trusted sources and WordPress.org only. Check plugin rating and number of downloads before you activate them. Use only recently updated plugins. You probably hear it all the time: add video to your website! WordPress has a very rich text editor, i.e. WYSIWYG. (You know this: What You See Is What You Get.) This editor supports easy insertion of images, video, and audio in blog posts or on any given page. #2. WordPress is easily integrated with any service/application. Default WordPress has a lot of in-built functionality, but you can even make it more powerful with plugins. When you install plugins, it will add extra functionality to your WordPress website. Some plugins are free and others are premium. There are around 41000+ plugins available at WordPress repository, so it is extremely important to choose wisely. Vet your choice through reviews, and plug-in with care. Contact Forms–Contact forms are among the basic requirements for any website. They are often used to send messages or collect data. Email Marketing—email marketing is one of the most important features to nurture leads and customers. With email marketing service integration, emails collected through your website are automatically added to your mailing list. The #1 Reason I love WordPress? Most of all, WordPress keeps getting better every day! Being a large and very effective community, WordPress is evolving day by day to improve its user-friendly interface and features. WordPress enhances its system each time it launches the latest version. In conclusion, these are reasons Vision Marketing chooses to focus its energy on building high-performing and easily visible WordPress websites. What’s Your Website Made Of?? Click here to request your complimentary website assessment.